We start off the deer season in September with the early archery which lasts up to five days. In this early season the bucks are really grouped up in bachelor groups. Coming off a food source like alpha or out of apple orchard are very predictable. 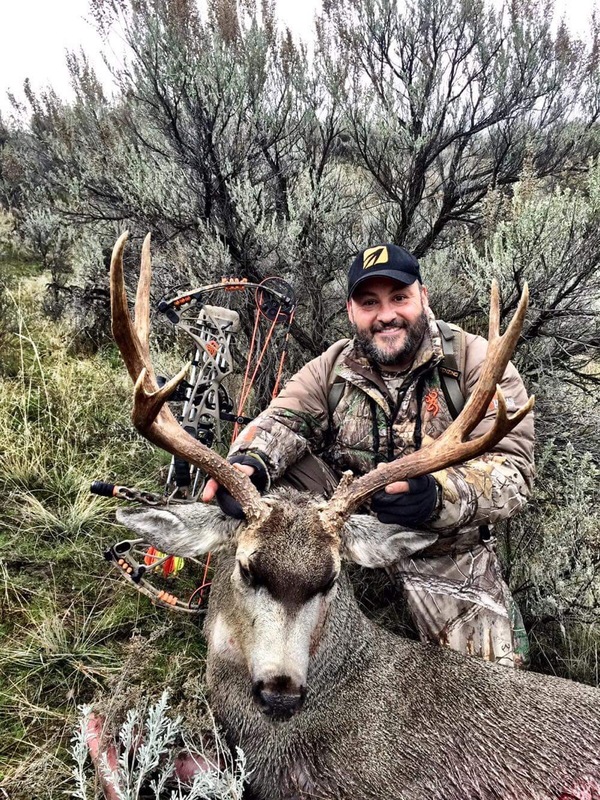 Setting up double bull blinds and tree stands to get them going to and from bedding areas are the best way to hunt them during this part of the season. It can be hot and the ground can be noisy. If the weather permits, spot and stalk options are available. This is a good time of year to see many bucks and have them at really close ranges. Chances of harvesting one in velvet are also possible. Next we jump into our muzzleloader hunts which last four days. This starts the last week in September and goes a week into October . Again we are hunting deer coming out of agriculture fields and spot and stalk. Glassing them from a distance and putting a stalk on them to close the distance. Typical range to shoot is 50 to 120 yards. We will get you as close as possible to make a good clean shot. Rifle hunts last four days. During this season starting mid October, you can experience all types of weather. Hot and cold days, along with some snow is very possible. Be prepared to have adequate clothing for all conditions. You will see many bucks to choose from. The chance of them starting the pre-rut chasing does and making the bigger and wiser buck come out are very possible. Shots ranging from 50 to 300 yards with many around the 200 range is very typical. Special permit hunts. HAVE TO DRAW!! Starts November 1st-20th. Again a 4 day hunt. This is were you get to hunt the migration of deer coming out of the high country. You will be hunting deer in the rut seeing up to 50 bucks in a day looking for the right one. This is a permit you have to apply for in late May to be drawn for. Only so many permits are issued in so many units. Please contact us for units to apply for. Then we have our late archery hunting which lasts five days. This can be really exciting! You will be hunting during the rut while they are chasing doe’s. You will be hunting the migration of deer coming out of the high country with the chance of hunting in the snow. Opportunities of seeing 170 class bucks are more numerous. Hunting out of double bull blinds and spot and stalk are our main ways of hunting. Rattling and grunting in deer is also very exciting during this time of year. Tree stand hunting for whitetails in the river bottoms over a scrape line! Can it get any better! Seeing bucks in the 130’s to possible 160’s are common. In all our hunts, we are able to adapt to the disabled hunter. Having blinds available to the hunter that is not able to walk or climb into stands are no problem. Nobody has to battle the deer hunting crowds on public land where 1 in 10 hunters successfully find a legal buck. We guarentee you’ll find a buck you’ll want to shoot. Please feel free to browse our website and give us a call today if you’d like to hunt with us this fall. All deer hunts will continue to be all-inclusive with lodging, meals, and 1×1 guiding. We also offer 2×1 guiding at a discounted cost. We have noticed over the years that many hunters have always come with family member or a hunting buddy that they wouldn’t mind hunting with. We end up still putting one guide to one hunter, where one guide with two hunters could do the same job. 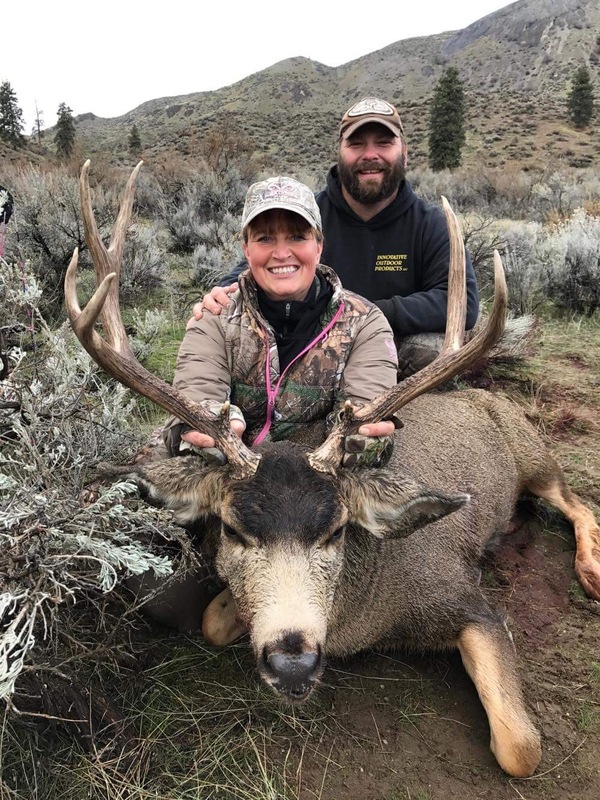 We will have only one category of hunt: kill the biggest deer you can find in four days… We’ll hunt a variety of habitat depending on elevation and weapon, including agricultural fields and open sagebrush country with Ponderosa pine/Douglas Fir dispersed throughout. **Deposit/Terms – Deposits on all hunts are non-refundable and the balance is due 30 days prior to your hunt. If balance is not received within 30 days of the hunt your booking will be forfeited. What is your policy on wounding animals? If you hit or wound an animal while hunting with us, that animal is yours. It is an industry standard of ethics we live by. We will do everything possible to recover your trophy. Unfortunately, sometimes we are not able to do so and some people go home empty. We encourage you to know your weapon and know how well you can shoot it. What is your booking/deposit policy? 50% Deposit Due to Book Hunt. Deposits on all hunts are non-refundable and the balance is due 30 days prior to your hunt. If balance is not received within 30 days of the hunt your booking will be forfeited.